Funeral Services for Effie Mae Nix Delk, 95, of Williston, SC will be held 3:00 pm Thursday, August 30, 2018 at the Elko Baptist Church with the Reverends Tom Baker and Billy Mew officiating; burial will be in the Williston Cemetery. The family will receive friends one hour prior to the service at the church on Thursday. Memorial contributions may be given to the Elko Baptist Church P.O. Box 277, Elko, SC 29826. Effie Mae passed away Monday, August 27, 2018. Born in Barnwell County she was a daughter of the late Ottie Breland Nix and Corrie Mae Chitty Nix. Effie Mae was a graduate of Hilda High School, worked in production for the Singer Sewing Machine Company in Pickens, SC and was a member of the Golden Age Club. 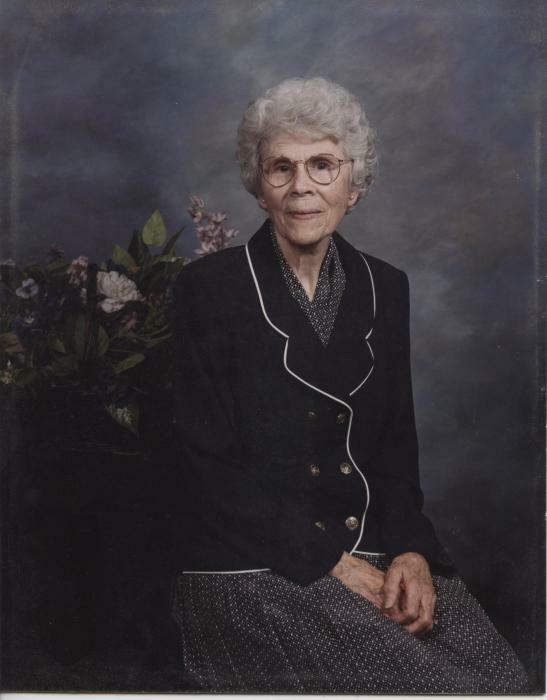 She was a member of Elko Baptist Church, the Clara Hitt Sunday School Class, the WMU and served on the bereavement committee; while living in Pickens she worked and taught in the Nursery Department, an served as an outreach leader at the First Baptist Church of Pickens. She was married to the late John Gerald Delk. Survivors include her sister, Joyce (Charles) Baxley of Beech Island; brothers, John (Sandra) Nix of North Charleston, David (Carolyn) Nix of Wilmington, NC, Clifford (Mary) Nix of Lexington, Gene (Nell) Nix of Elko; sister-in-law, Virginia “Ginny” Nix of Williston; a number of nieces, nephews, great nieces and great nephews. She was predeceased by a brother, Russell W. Nix.